Shirin Neshat is an artist from Qazvin, Iran who now lives and works in New York City. 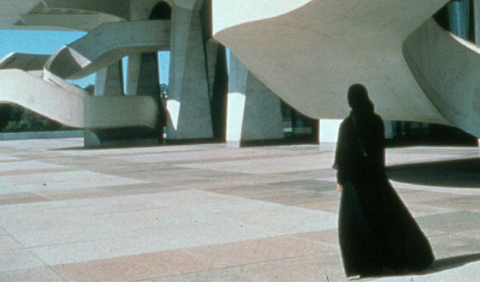 Neshat’s work strives not only to illuminate the incongruencies between feminism and the functions of modern Islamic cultures, but also to address the rifts between Western conceptions of Islamic femininity and its real, lived experience. 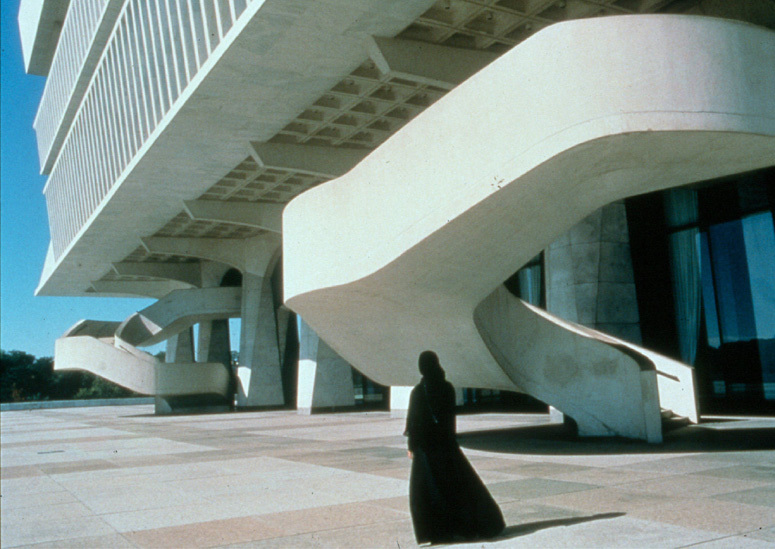 This image is taken from the artist’s film series entitled Soliloquy, produced in 1999. The film follows the veiled artist as she explores two anonymous and strikingly cold modern cities: Albany, NY and Mardin, Turkey. These two cityscapes represent East and West–the contemporary and traditional–and the frames of each respective exploration are paired side by side. As the film progresses, the incongruence between these two worlds becomes more and more jarring, before the work finishes with a layered synthesizing of choral music and chanted prayer that conveys a resolution between the two cultures and the artist’s two identities.